Don’t play the piano like me... you are human! 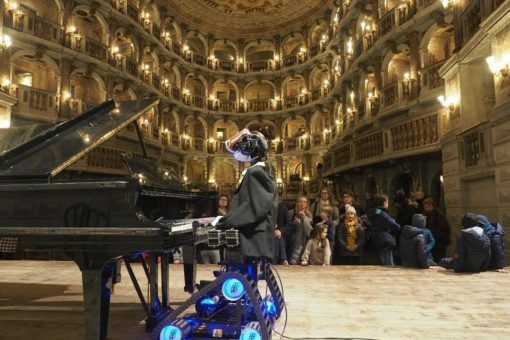 The world-acclaimed robot-pianist will drive you through a magical experience of music and technology. 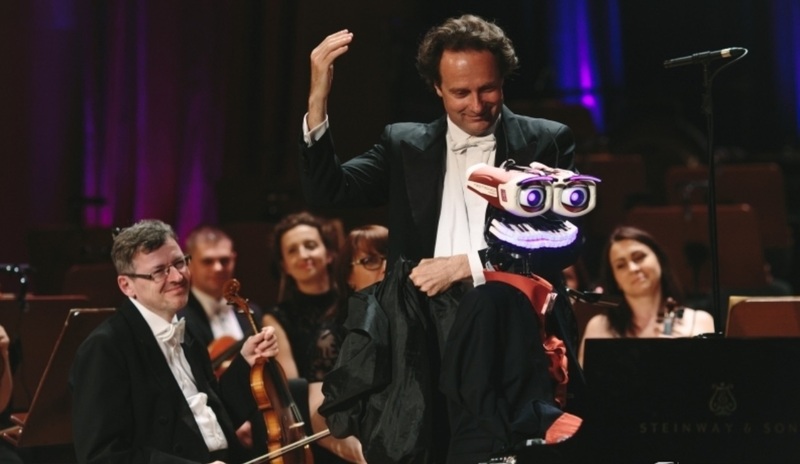 Robot pianist Vs. Human pianist": an innovative show to explain the true meaning of classical music. To learn "how to listen" through an intriguing, multimedia, experience. 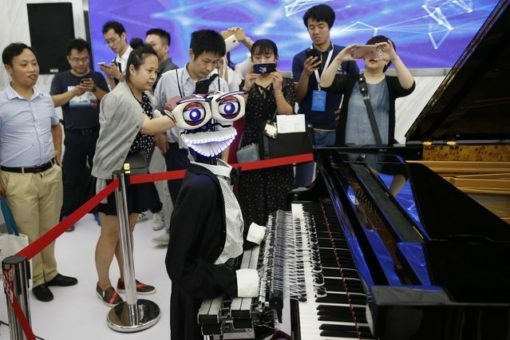 "Robot pianist Vs. Human pianist": an innovative format to explain the true meaning of classical music to everyone, in any part of the world. It focuses on the importance of creativity and emotions, in opposition to the exactness of the robot's executions. Music can give a deeper meaning to our existence. Learning how to listen is certainly one of the most important steps for growth. Today our lives are increasingly invaded by technology, and it is important not to lose our identity and the awareness of our emotions. 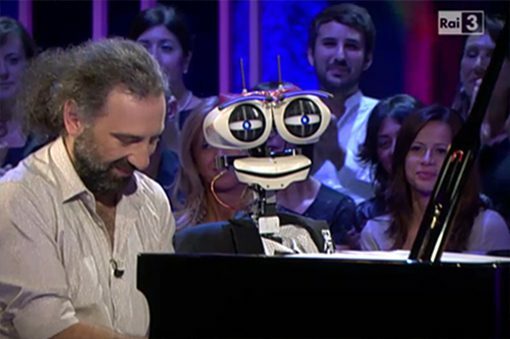 In this project TeoTronico performs pieces for piano and orchestra, alternating with the “human” pianist Roberto Prosseda. 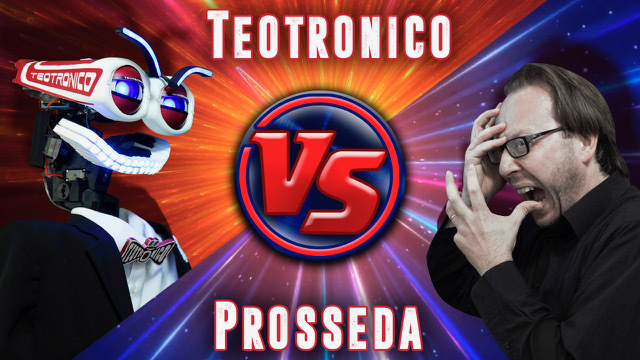 TeoTronico will criticize the flexibility and breathing of the human orchestra, and the conductor will discuss with TeoTronico, teaching him how to play with a more human expression. At the end of the concert, Roberto Prosseda will come onstage and will replace TeoTronico, playing a movement of the Concerto and showing the difference between a human interpretation and the robotic playing. This show has been conceived to offer an opportunity to understand music with a more conscious and perceptive listening. It is an ideal project for the "family concerts" with an audience of families and children.